Work the egg fast into the dough it to prevent the egg from cooking. This may be a bit tricky, as the dough is quite hard at this point. If you find it hard to mix with a wooden spoon, use an electric mixer. 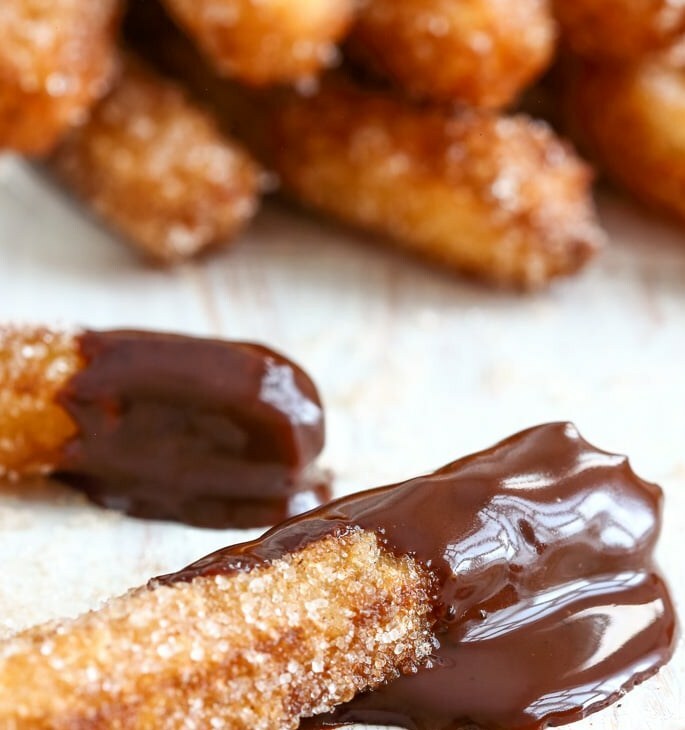 You can either pipe the churros directly into oil or pipe them onto a sheet of baking parchment first and then place these into hot oil.